My experience includes researching, scripting and directing a whole pile of corporate and informational videos, TV current affairs and documentaries, not to mention, in the days of the closed shop in the film industry, working for what seemed ages in a film laboratory to obtain my union ticket before switching to a small film studio as an assistant director on B feature movies (as it happens, Edgar Wallace thrillers). For some years until recently, I was involved with my son Simon in a small film and TV production and distribution company based in Dublin called Stoney Road Films. 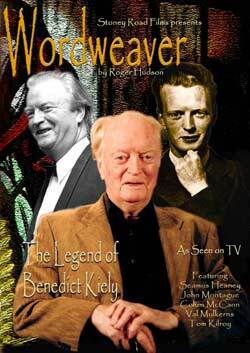 Among other things, this enabled me to complete my arts documentary Wordweaver, the Legend of Benedict Kiely, which explores the impact of the censorship, the Troubles, and the Dublin literary bar circle on the prolific author’s life and work. Incidentally, it paints a portrait of this period of rapid social change in the evolution of modern Ireland. Broadcast twice on RTE, Wordweaver has also been screened at the Dublin Writers Festival, Stranger Than Fiction Documentary Film Festival, Aspects Literary Festival, Mid-Ulster Film Festival and Benedict Kiely Literary Weekend. Relatively little known outside Ireland, Ben's writing has a density and subtlety that makes it well worth reading, especially his short stories. His novel Honey Seems Bitter is based around a murder and crime features strongly in In a Harbour Green. His work is published by Methuen in Britain and by David R. Godine in the USA. My thinking on future film-making is more limited with the possibility of video poems and a video version of my powerpoint talk about Ancient Athens to the Classical Association of Ireland. 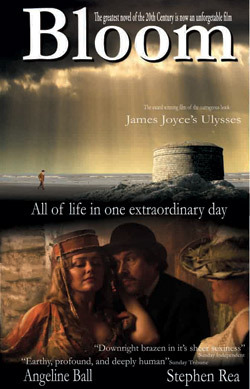 Getting into film distribution was very exciting, starting with the cinema release of Bloom, Sean Walsh’s adaptation of James Joyce’s Ulysses in 2004, the anniversary year of the novel’s setting, on a very short timescale. We went on to distribute stunning movies like Kalatozov’s masterpiece I Am Cuba, Trafficked, Winter Soldier, Firefly Dreams and I Am Breathing in Ireland and some in the UK.